The below steps will show you how to disable the return-path header on your KnowBe4 account. It is vital to do this if you're using a mail provider like GSuite, which will display "via KnowBe4" next to the sender address in your phishing tests if you do not. Note: If you have a free KnowBe4 account, you will need to contact support to disable the return-path header. 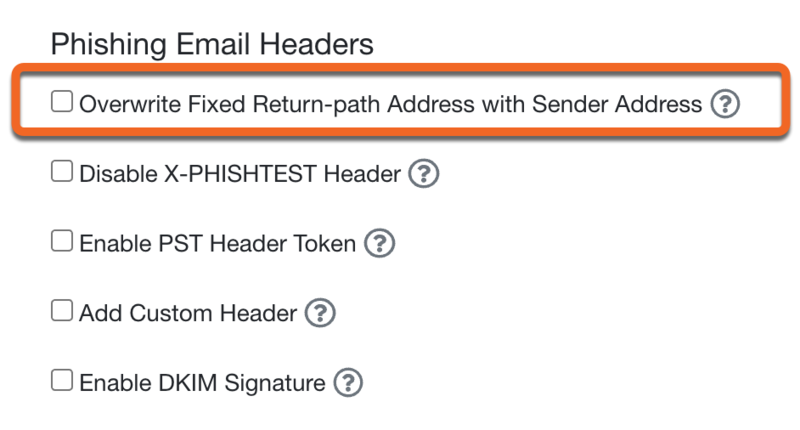 If you're not using GSuite and not experiencing issues with "via KnowBe4" next to your incoming phishing test emails, leave the return-path header as-is. STEP 1) Login to your KnowBe4 admin account. STEP 2) Click your email address on the top-right of the screen, then click Account Settings. STEP 3) Scroll down to the Phishing Header, and click the checkbox by "Disable return path header". STEP 4) Save your settings by clicking "Update Account Info" at the bottom of the page.